Shabkar.org is a non-sectarian website dedicated to vegetarianism as a way of life for Buddhists of all schools. 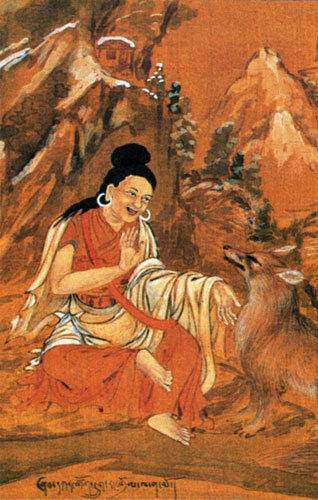 The site takes its name from Shabkar Tsodruk Rangdrol (1781-1851), the great Tibetan yogi who espoused the ideals of vegetarianism accompanied by bodhicitta. The Buddhist Path is called the Middle Way. Avoiding extremes is part of it. By presenting an online collection of texts and other content on Buddhism and vegetarianism Shabkar.Org aims to contribute in a positive way to the view that keeping a vegetarian or vegan diet is part of Buddhist teachings while keeping in mind that becoming a vegetarian or vegan can be a gradual path.